I'm designing a project that will be teaching learners about play spaces, and the importance of them - namely via a quotation from a report by the regulator, Ofsted. 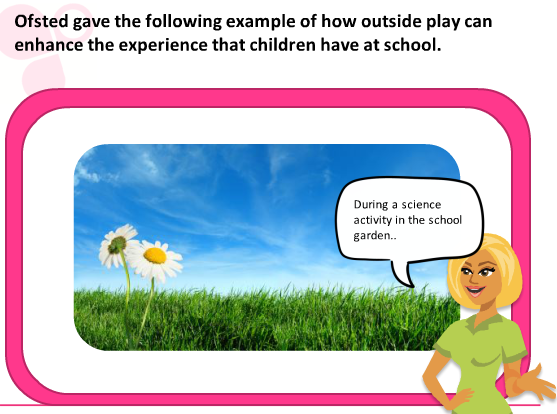 Its a wordy quotation about how two children investigated outside and used each other and others to inform their learning. I thought about doing a comic strip approach to break up the quotation and try and bring it to life, but I've already done a comic strip and dont know how applicable it is for what I'm trying to do. Basically I need the learners to be able to understand the quote! I'm keen to ensure interaction in the learning where I can, so has anyone got any ideas? Personally (and I know I may have cakes thrown at my head for this) I am not a fan of comic strips. However, it's still a good idea. I can see that really appealing to children. Are the children communicating/talking? Or are you just pulling in the quotes from the documentation? If they're interacting, you could display characters in a fun environment (which would work well if they're outside investigating, you could change the background scenes for the areas they're exploring) and bring in some additional characters along the way. With some animation you could almost make this look like a cartoon, or video. How interactive do you want this to be? 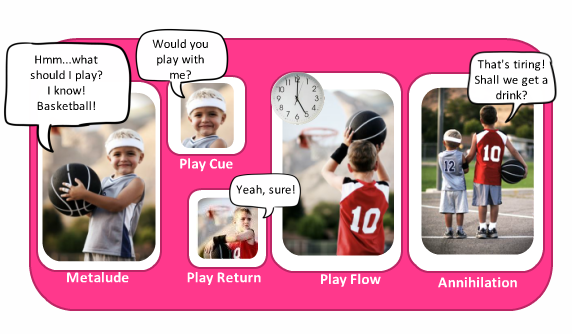 Do you want this to be shown in one solid display of content, or do you want to have the learner to engage in any activities? The main thing I would suggest is to consider your audience. If you were going to be watching or interacting with this, would you prefer something entertaining, interactive or professional? What type of learners will be accessing the content? Will this be designed for only children, or anyone that wants to learn about the content? 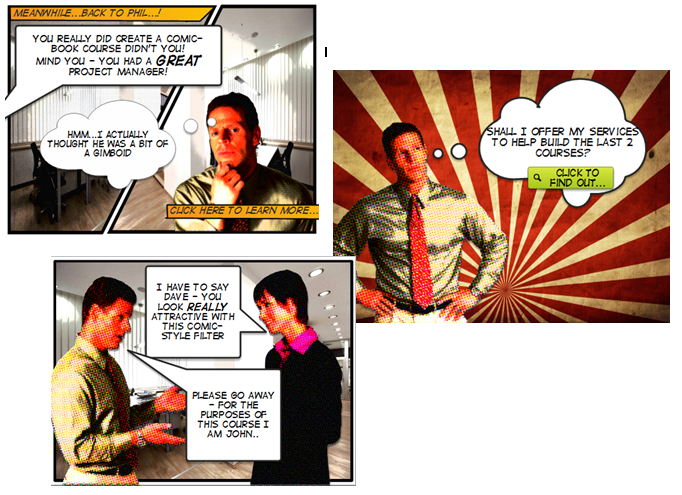 I have just finished a course where we used comic book style, each slide was one pane. The feedback we got was amazing the users really loved it. I loved building it, I would do it anything that adds an element of fun to learning is a good thing. Not sure if I would go "comic book" style for this one, but I'll tell you what popped to mind... Remember the classic Shel Silverstein book, The Giving Tree? Super simple, pen and ink children's illustration style. Basically, write the quote as a bit of a "story" with that B&W illustrations style. Would be appropriate for audience, engaging, and a nice polished look. Nice suggestion, Bob. I'd like to see a course designed like this! You guys are awesome...and much more talented than I! Really great ideas and a fantastically useful discussion. Theres no animation on it - its just a visual representation of something. I broke the quotation up into an animated slide, trying (I'm a novice!) to 'bring it to life' - I used a character to introduce the quote, and then speech marks to make the conversation between a static image try and look real. Its now a short slide with no interaction, but trying to be more interesting...I'm learning from you guys every day! Love this forum to learn from the experts! If you have any other ideas let me know! Hi Rachel - those look really great! One thing about captions is that there are many many styles - all of which have a slightly different visual "meaning". That's fantastic! Thank you! I love a free download, I do! "Hi Rachel, Personally (and I know I may have cakes thrown at my hea..."